*Sits down in a chair backwards* So you like Level 9 Monsters. A Level 9 centric “True King” Deck that makes use of cards from “Dark Neostorm”. The effect of “World Legacy’s Beginning” brings out Level 9 Monsters, allowing you to make Link Monsters such as “World Gears of Theurlogical Demiurgy” and “Black Luster Soldier – Chaos Soldier”, and Xyz Monsters such as “True King of All Calamities” and “Neo Galaxy-Eyes Cipher Dragon”. Meanwhile, using the 3rd effect of “Summoner Monk” to Special Summon “Treasure Panda” is extremely strong. The effect of “Treasure Panda” allows you to Special Summon a Level 1 Tuner from your Deck, allowing you to use the two to Synchro Summon “Ib the World Chalice Miko”. And the first effect of “Ib the World Chalice Justiciar” allows you to add “World Legacy Monstrosity” from your Deck to your hand, while the remaining monster on the field and “Ib the World Chalice Justiciar” Special Summons a Level 9 Synchro Monster. As well, with the “World Legacy’s Beginning” in your hand, you can bring out a Level 9 monster to your hand. * Editorial Note: The reason it keeps saying “True King” who are all obviously Level 9, is that in Japanese, “True Draco” and “True King” both share the same term 真竜 (Shinryuu). A “Destiny HERO” Deck that uses cards from “Dark Neostorm”. You can Fusion Summon “Destiny HERO – Dominance” with “Fusion Destiny”. Also, if your opponent has no cards on their field, you can use the 1st effect of “Destiny HERO – Dark Angel” to Special Summon a “Destiny HERO” monster from your GY to your opponent’s side of the field, thus allowing you to activate “Slash Draw”. A Deck that uses “Handy Gallop” from “Dark Neostorm”. Reduce your LP to use the effect of “Handigallop”, using such things at the activation cost of the first effect of “Destrudo, the Lost Dragon’s Frisson” and the effect of “Where Arf Thou?!”. Also, by using “Tsukumo Slash” and “Action Spell – Full Turn”, you can aim to deal enormous damage to your opponent’s LP. By Tribtung “Handigallop” and “Destrudo, the Lost Dragon’s Frisson”, you can Special Summn “Beast-Eyes Pendulum Dragon”. Furthermore, with the 2nd effect of “Kinka-Byo”, if you don’t have “Handigallop”, you can Special Summon “Omni Dragon Brotaur”, and the powerful 2nd effect of “Larfae Dragon Larvaur” lets you add the monster you need from your Deck to your hand. A “Fortune Lady” Deck that uses “Puzzlomino, the Drop-n-Deleter” from “Dark Neostorm”. You can use the differently Leveled “Fortune Lady” monsters as Link Materials for “Puzzlomino, the Drop-n-Deleter”. And, “Puzzlomino, the Drop-n-Deleter”, if you Special Summon “Fortune Lady” monsters to zones it points to, you can aim to raise their Levels with it. Also, the 2nd effect of “Fortune Lady Light”, if it’s destroyed, can allow you to Special Summon the “Fortune Lady” monster you need. Since this is such a Spellcaster centric Deck, it works well with “Spellbook” cards. For example, if you send “Fortune Lady Light” from the field to the GY with the effect of “Spellbook of Knowledge”, you can draw and Special Summon monsters from your Deck. A “Deskbot” Deck that uses “Puzzlomino, the Drop-n-Deleter” from “Dark Neostorm”. For Link Summoning “Puzzlomino, the Drop-n-Deleter”, you need 2 monsters with different Levels. And since “Deskbots” naturally have different Levels, you can gather them on the field to use as Materials. “Urgent Schedule” allows you to Special Summon 1 Level 4 or lower “Deskbot” and 1 Level 5 or higher “Deskbot” monster. Monsters Special Summoned to the zone that “Puzzlomino, the Drop-n-Deleter” points to, via things such as Pendulum Summoning, can have their Levels adjusted, allowing you to bring out Synchro & Xyz Monsters. A Deck that combines Pendulum Monsters with the “Dinowrestlers” that got a huge boost from “Dark Neostorm”. Use Dinosaur Pendulum Monsters such as “Fire Opalhead” and “Lancephorhynchus” to Pendulum Summon “Dinowrestler” monsters. Also, since they’re Level 6, you can use them with “Dinowrestler Coelasilat” as Synchro Material for “Dinowrestler Giga Spinosavate”. Also, “Fossil Dig” and “Summoner’s Art” allows you to easily add cards to your hand. The 4th effect of “Dinowrestler Giga Spinosavate” allows you to destroy your cards in the Pendulum Zone to protect itself from destruction. The 2nd effect of “Lost World” Special Summons Tokens to your opponent’s field, which helps as many “Dinowrestler” monsters have effects that work only if your opponent has more monsters than you. A Deck that combines “Impcantation” and “Odd-Eyes” using cards from “Dark Neostorm”. The first effect of “Impcantation Thanatosis” allows you to gather monsters on the field, and then you can Tribute those monsters to Tribute Summon “Odd-Eyes Advance Dragon” OR Ritual Summon “Odd-Eyes Gravity Dragon” or even use them as targets for “Sky Iris”. Also, the second effect of “Impcantation Thanatosis”, even if you don’t Ritual Summon, works if you Special Summon “Odd-Eyes Gravity Dragon” with “Odd-Eyes Arc Pendulum Dragon” or “Odd-Eyes Advance Dragon””. The effect of “Set Rotation” can Set a Field Spell on your opponent’s side of the field, which makes it strong in tandem with the 1st effect of “Odd-Eyes Gravity Dragon”. An “Alien” Deck that uses “Crackdown” from “Dark Neostorm”. You can pull off multiple strategies with the effect of “Crackdown” and taking control of your opponent’s monsters. For example, by taking control of your opponent’s monster and using “Alien Overlord”, you can Xyz Summon “Dhampir Vampire Sheridan”. If you take control of an opponent’s monster and use it as Xyz Material, “Manhunt” will remain on the field, which you can return to the hand with “Cosmic Fortress Gol’gar”, and then activate it during the next turn or so such. Also, if you take control of a Link monster and use it as Link Material for Link Summoning “Amphibious Swarmship Amblowhale “, whose second effect can Special Summon that Link Monster to your field. An “Infernoid” Deck that makes use of “Neo Flamvell Lady” from “Dark Neostorm”. “Infernoid” monsters can be sent to the GY for the cost of the 1st effect of “Neo Flamvell Lady”, while its 2nd effect can send them from the Deck to the GY. Since “Neo Flamvell Lady” is a FIRE monster with 200 DEF like “Infernoid Decatron”, it can be Special Summoned from the GY with the effect of “Rekindling”. A “Prediction Princess” Deck that makes use of cards from “Dark Neostorm”. You can target “Prediction Princess Tarotrei” with “World Legacy Monstrosity”, and Special Summon the Flip Monsters “Deus X-Krawler” and “Pot of The Forbidden” from the Deck, and then use them as materials to Link Summon “Subterror Behemoth Fiendess”. 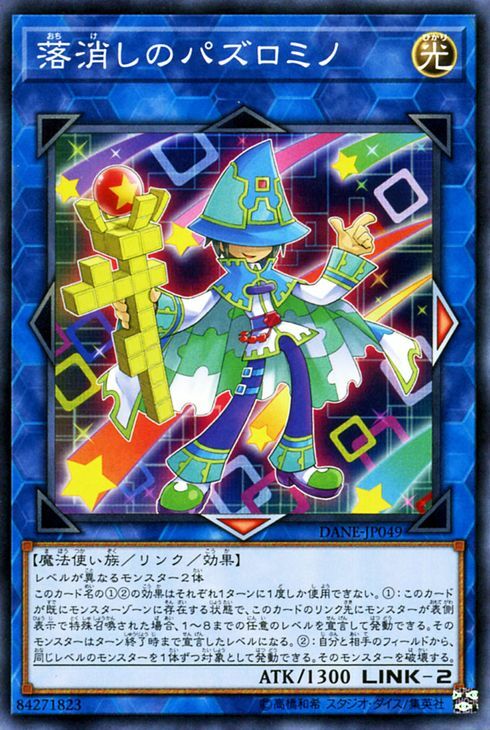 Also, with the third effect of “Knightmare Incarnation Idlee”, your Level 9 monsters will be protected from being destroyed by effects, allowing “Prediction Princess Tarotrei” to remain on the field safely.